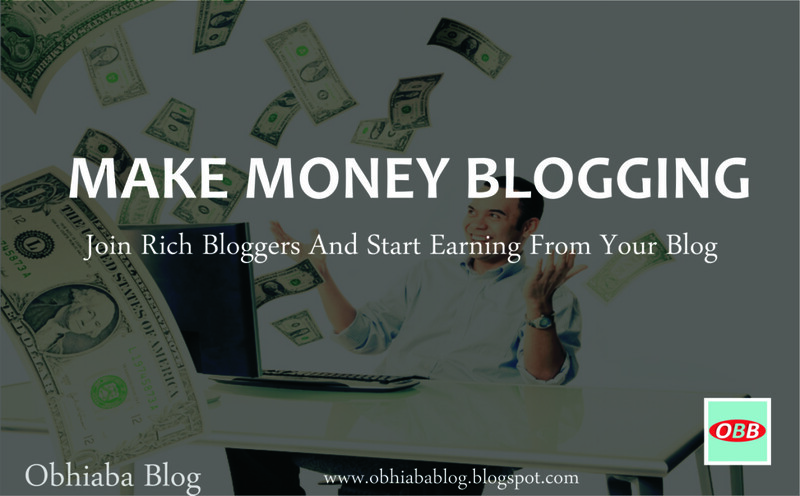 Home » Make Money » Make Money Blogging – Start Earning Today! Renewal of tools ( e.g Hootsuite) etc. And other financial problems resulting from the blog, that needs a settlement. Can I really make such an amount, that will solve most financial bills for me, from my blog? Yes, you can. All blogging platforms including Blogger and WordPress allows blog owners to run affiliate programs on their blog without going through a lot of coding troubles. This is the same reason why persons run a blog – To earn money. My Favourite Affiliate Programs to Earn More! Earnings make you blog with more enthusiasm, passion, and professionalism – thus improving the quality in each article you publish. Payment of bills; Subscription, Electricity, Travelling, Clothing and another sort of bills, can be handled with money from a blog. These are some of the main reasons why every blogger should get paid. Many programs are being developed by companies and other bloggers to make earning easy for everybody. Some of these ways to advertise on your blog will be discussed bit by bit. There are numerous ways to earn as a blogger, lot of services and programs which can benefit many bloggers looking for a way to earn money are available. Some of them are popular among bloggers while others are not. Today we will be discussing some of them based on a few but important characteristics. The following programs about to be discussed are the best paying online money making medium for any blogger who wants to earn a high income. For years, Affiliate programs top the chart of most paying advertisement programs. No other service offers half of what affiliates offer. One of the biggest of the programs is Google Adsense which is seen in nearly all blogs in the world because of its high payment rate. Even other programs hack into Adsense to earn a bank worthy amount. Adsense is google’s very own and if you are on the BlogSpot platform, the program is already integrated into your blog. For WordPress and others, you need to apply for the service. Google Adsense have the best paying commission rate and offers the best advert banners and link. A good quality of Adsense is that it only displays advertisements related to your blog or post. Hereby increase the chance of getting better clicks. With Adsense, the more visitors click on advert banners and links, the more you earn. Just like Adsense, InfoLinks pays well and offers you lot of ways to advertise and earn money. But unlike Adsense, InfoLinks provides you with pop-up and slide in options to advertise. This feature increases the rate visitors clink on Adverts. When google Adsense, InfoLinks, and other top Affiliate programs fail to approve your blog or website then other options come into place which is referred to as Adsense Alternatives. InfoLinks leads this team, but we have already discussed it above, so let’s see a list of other well-paying affiliate programs. If well practiced, product sales pay more than affiliate programs. Product sales as meant by the word is a way of marketing your own products on your blog. Top bloggers now do so. Instead of waiting for Affiliate and obeying strict policies they just start selling from their blogs. Product sales are more like having a shop on the internet. For every product you sell on your blog, a direct deposit is made to your account through any internet money transfer service you choose. Below is a list of the most paying products which every blogger can venture into and start earning. The list is based on the most purchased and expensive products that world richest bloggers have used in earning. These are the most paying categories. Though there are many others. This is just to give you an understanding of product sales meaning and how you can easily start earning a couple of dollars. Aside from selling your own products through banners and posts, you can also help another blogger sell his/her product and get paid on each sale. Many template designers offer this service and you can even earn up to $13 for selling just one template. Most persons now venture into this and a couple of blogs are currently selling their stuff on my blog and I will teach you how to start earning via product marketing. My Blogger Tricks Affiliate is my favorite of them all because you can easily make up to $2000 just within a month. I am a member of this program and gaining from it already. Join the STC Network affiliate, sell blogger templates and others stuff and get paid really well. Our program can be joined by anyone whether or not owning a bank account or PayPal account. The system is based on a 20% revenue share on each sale and has the power to make you up to $2000 within a month. – Join STCnetwork’s Affiliate Program! There are many other bloggers offering this service. Another I would have included is Wix.com – A template designing site which I believe pays well but while trying to access them, I was having issues. Join other bloggers earning from various website hosting sites over the world. Most of the web hosting sites including Hostgator, GoDaddy, and others have opened their own affiliates, so partner with them today and start earning. The service is simple, you get paid once a customer directed by you purchases a hosting plan. I saved this for the last among the list because it has not really earned for me much. And some of them still hold on to strict policies. Though they are also referred to as affiliates, I would love to separate them from the others since they advertise only their own products. The service is similar to product marketing but the major difference is that most of the E-Commence stores have an abundance of categories and widgets to help you earn more. But product marking pays more since their commission rate is higher than that of online stores. Amazon being one of the most visited and used worldwide online stores runs an affiliate program which many bloggers have been earning from. As it is always said, presentation matters. With Amazon, you have unlimited products and widgets to place on your blog. Amazon has a low commission rate but that doesn’t stop you from earning. Amazon Affiliate though has rules, accepts nearly every blogger that signs up. – Sign Up For Amazon Affiliate. Africa-based affiliate program. Actually the most paying in Nigeria and other African countries as I have seen a lot of bloggers placing Jumia banners on their blog. Shelaf.com is a big Technology blog in Nigeria and the only Affiliate he ventured into is Jumia. If not Jumia then it’s Konga. I might be wrong to say this, but Konga seems to be more accepting than Jumia because they accept nearly everyone that applies without placing strong policies down. Konga also offers a straight share button to every banner that will enable you easily share to social media. 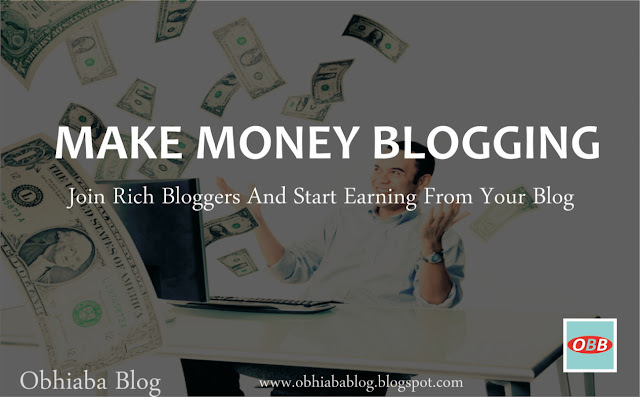 Apart from the above ways to get paid as a blogger, there are other ways to earn money. Though I won’t explain much on them but just know this category have helped a lot of Nigerian bloggers earn money. Adblabla is not just a money making program because it has a great feature of helping you with back links and visitors. The service is simple – Advertise other blog’s post and banners and let 500+ others advertise yours. DomainKing is a hosting site in Nigeria that offers web hosting at cheap rate with the best of service and tools to keep your dot com site starting up with just a few Naira. In other to increase their platform, they have introduced an affiliate program to help you while they get more customers. – Join to Start Earning. Successfully I have composed an article that entails 16 ways to make money as a blogger. Hopefully, after implementing the above services and programs on your blog, you should earn up to $1000 a month. Feel to share your views and recommendations below at the comment box. Thanks to God and May God bless you and your blog!. Are you looking to make cash from your visitors with popup advertisments? In case you are, did you know about PopCash?